A collaboration of different artists from Greece, Iran and India. A combination of different musical traditions and instruments. 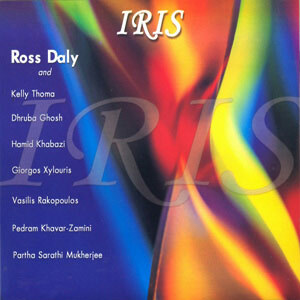 Under the guidance of Ross Daly this “rainbow” of artists sends its own message of peace.The musicians Partha Sarathi Mukherjee(tabla) and Dhruba Ghosh (sarangi) from India, Pedram Khavar-Zamini (tombak) and Hamid Khabbazi (tar) from Persia, Vasilis Rakopoulos (“Stars of Gandahara”, dedicated to the victims of any war), Giorgos Xylouris and Kelly Thoma are the elements of this “rainbow” and with their music they fill the atmosphere with hope and love for the humanity.